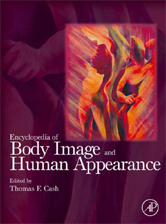 The Encyclopedia of Body Image and Human Appearance is a unique reference for a growing area of scientific inquiry. It brings together in one source the research from experts in a variety of fields examining this psychological and sociological phenomenon. The breadth of topics covered, and the current fascination with this subject area ensure this reference will be of interest to researchers and a lay audience alike.